Why is it so difficult to change our beliefs and behaviors even when we know they no longer serve us? How can certain individuals reverse "incurable" disease while others suffer the effects of childhood wounds despite years of therapy? How is it that the centenarians make up the fastest-growing segment of the U.S. population--even though the majority of people over the age of 100 rarely visit their doctors? When Dr. Mario Martinez began his career in clinical neuropsychology, he was determined to find the answers to baffling questions like these. 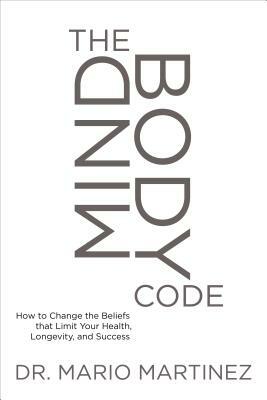 With The MindBody Code, he shares the rewards of an investigation that has spanned generations and cultures to reveal the most effective methods for initiating deep and lasting change--and the empowering new science of biocognition that substantiates their results. Why do so many popular methods of personal transformation fail despite our efforts and intentions? Because they don't address the mindbody code--your body's "operating instructions" for interpreting your world, creating your sense of self, and defining what's really possible for you. The MindBody Code is your key to safely and successfully confront your fears, disillusionment, and learned helplessness with tools that harness the hope, joy, and unconditional love you hold within. Mario MartinezDr. Mario Martinez is a US clinical neuropsychologist who lectures worldwide on how cultural beliefs affect health and longevity. He is the founder of biocognitive science, a new paradigm that investigates the causes of health and the learning of illnesses. More importantly, biocognition identifies complex discoveries of how our cultural beliefs affect our immune, nervous and endocrine systems, and translates them to practical applications. Dr. Martinez has investigated cases of alleged stigmata for the Catholic Church, the BBC and National Geographic. He lives in Montevideo, Uruguay.Dr. Christiane NorthrupChristiane Northrup, MD, a board-certified ob/gyn, is a visionary pioneer, beloved authority in women's health and wellness, and the author of the groundbreaking New York Times bestsellers Women's Bodies, Women's Wisdom and The Wisdom of Menopause. Her third book, Mother-Daughter Wisdom, was voted Amazon's #1 book of 2005 (in two categories). In The Secret Pleasures of Menopause and The Secret Pleasures of Menopause Playbook, Dr. Northrup teaches how to experience joy, pleasure, prosperity, fulfillment, and vibrant health. Her children's book, Beautiful Girl, brings her positive message to the youngest of girls. Her books have been translated into 24 languages.Following a 25-year career in both academic medicine and private practice, Dr. Northrup now devotes her time to inspiring women worldwide to truly flourish on all levels through tapping into their inner wisdom. She does this through speaking engagements, on Facebook, in e-newsletters, on her weekly Hay House internet radio show Flourish!, and in television appearances and specials.Don't miss Dr. Northrup's cutting-edge information. Follow Dr. Christiane Northrup on Facebook, Twitter, and at drnorthrup.com.